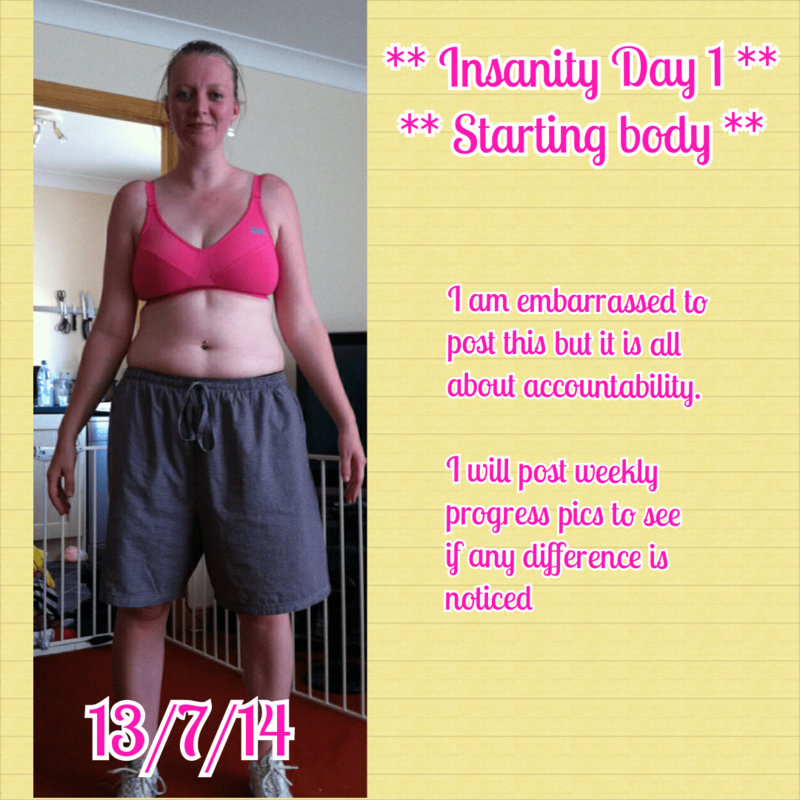 I must be insane, I came home from mums today to discover Lee had done the insanity fit test. He didn’t complete it, but I took up the challenge to see if I could and to see just how terrible I would be. I was surprised that firstly, I managed to complete the test and second that I also did better than Lee on some numbers! Never did I imagine that I would do as well as I did. This is me after completion, I am so tired I couldn’t stand up! My legs felt like jelly. Here is my first progress shot – day one. I am slightly embarrassed to post this, but that is what this all about isn’t it – being comfortable in your own skin. Now I have finally started I am determined to see it through for the next 60 days! Visiting from my blog link-up party! Thanks for following me and I’m following you back 🙂 If you want to swap buttons or badges let me know!